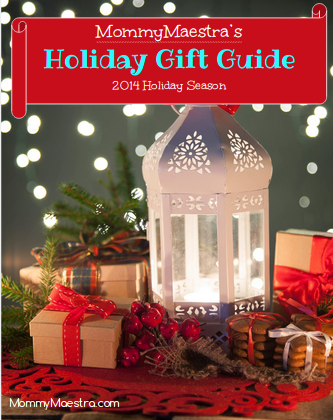 Time for the 2nd Annual MommyMaestra Holiday Gift Guide! Phew! This year has been so busy, I wasn't sure we'd get this together in time. But I was fortunate to team up with my favorite Betty, a regular contributor to this blog and publisher of My Friend Betty Says, as well as Melanie Edward, publisher of ModernMami.com. So the gift guide is finally here and FULL of educational (some bilingual!) goodies for children. From babies to teens, there is something in this gift guide for all the kids in your life. Just click on the links in the guide to learn more and purchase any of the items. We also do lots of educational gifts. Hi, I am a blogger from Spain (Madrid). I´ll take this opportunity to invite you to visit my blog. This week I am hosting a raffle of a book I wrote myself (in Spanish): "Chef Junior y el libro de las recetas con cuento" (available in Amazon). It is a book of recipes and tales for children. I think this could be a perfect gift for this Xmas, too. A big hug and seasons greetings from Spain.